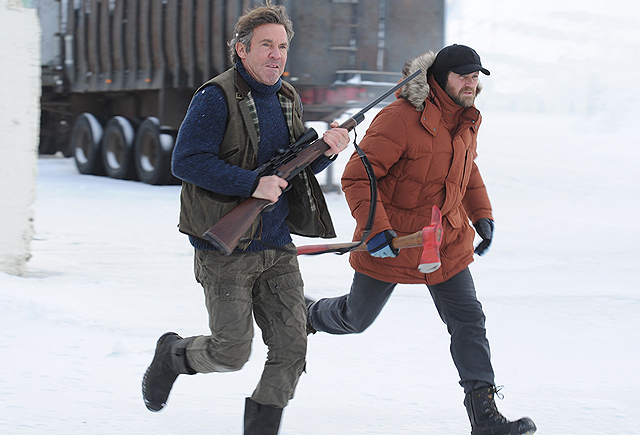 Amazon Studios and Sky Vision today announced the pick up of Fortitude Season 2, which will be added to Amazon’s lineup of dramatic original series for Prime Video in the US. The first season of Fortitude premiered on Sky Atlantic in 2015 and became the network’s most successful original drama commission to date, with the first episode watched by an accumulative audience of more than 3.2 million. The first season has also been available on Prime Video in the US since January 2016, with more than 2,000 four and five star reviews from customers. Fortitude Season 2 of the series will become an Amazon Original Series and features an ensemble cast, including Richard Dormer (Game of Thrones), Dennis Quaid (Vantage Point), Sofie Gråbøl (The Killing), Luke Treadaway (Clash of the Titans), Darren Boyd (Stan Lee’s Lucky Man), Björn Hlynur Haraldsson (Jar 2pm City), Mia Jexen (Happiness), Alexandra Moen (Strike Back), Verónica Echegui (The Cold Light of Day), Sienna Guillory (Stan Lee’s Lucky Man), Ramon Tikaram (Jupiter Ascending), Parminder Nagra (ER), Michelle Fairley (Game of Thrones), Robert Sheehan (Misfits) and Ken Stott (The Missing). The series is scheduled to premiere on Prime Video in the US later this year.